I’m currently freelancing at Chemistry Club, doing what I do best, media. Yup, at it again. It’s advertising, and it’s what I know! I’m working part-time, Monday through Wednesday. I’m also working on a side project, interior decorating a dental office. Two part-times equal one full-time job right? Here’s the front of the office and my workspace. This space used to be a firehouse so it has a really cool warehouse feel. There’s a fire pole to the left of the first picture! Here’s my second job. I went into the office on Saturday to paint. It’s sneak peak to what I will one day share on the blog! When I’m painting, I’m in my true element! And since now I have places to be and people to see, in other words, I’m actually leaving the house and not wearing PJs all day… gotta go shopping and get me some bling! I got two new beautiful gold rings and a statement necklace. Eepppp I love them! And if all this isn’t new enough for you, I’m cat-sitting my cousin’s fluff ball! Chubs and Toby have become playmates now! Have an awesome week! I’m leaving for Austin on Friday to attend my sister’s graduation. Then I’m going to Europe for three weeks! I’ll be on hiatus while on vacation. I’ll still be posting the rest of this week so come back to see what I’m up to! UPDATE: Congratulations to Danielle at bybegnaud.blogspot.com! You’re the winner of this drawing! Thanks to everyone who participated. 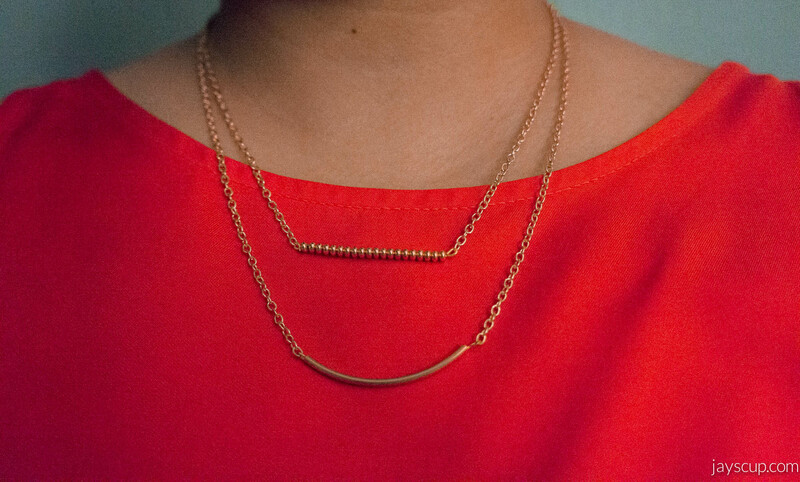 You can still flaunt this gorgeous necklace with the DIY instructions below. Stay tuned for more giveaways! 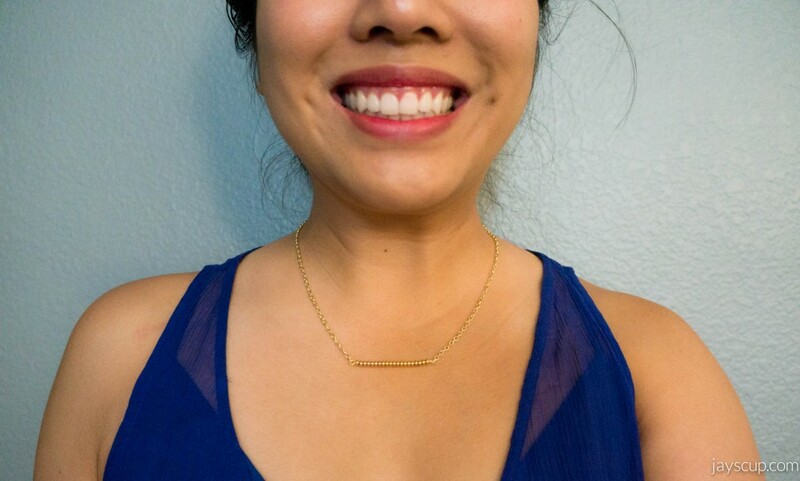 Another dainty necklace DIY and giveaway! I am loving these pretty little things. There’s so much love that I just want to give things away! Perhaps I’m already in holiday cheer. Comment on this post for a chance to WIN. What do you think about this piece? Is this something you can do? So feminine and flirty! Plus, you could wear this with any outfit! I’m also loving the layered look. 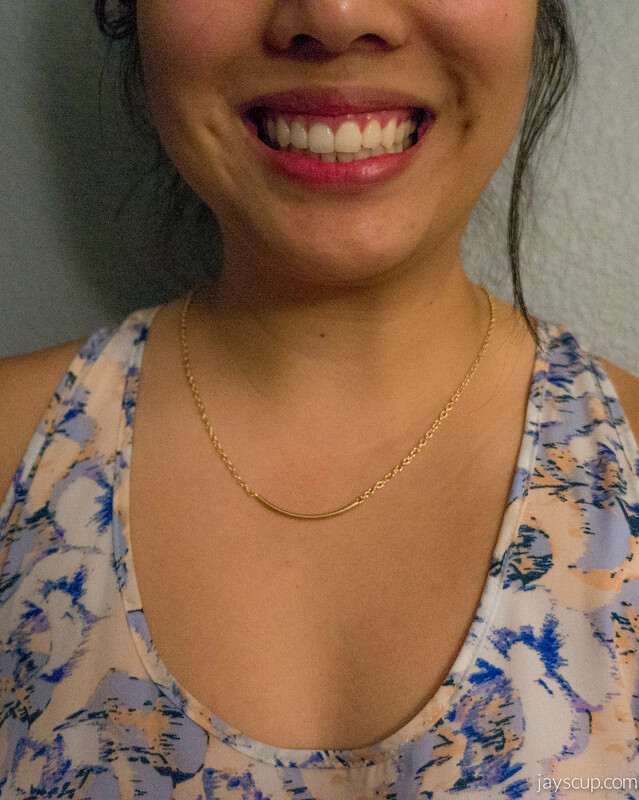 I layered this tube necklace with the necklace from last week’s post (dainty beaded DIY here). It’s almost the holidays. 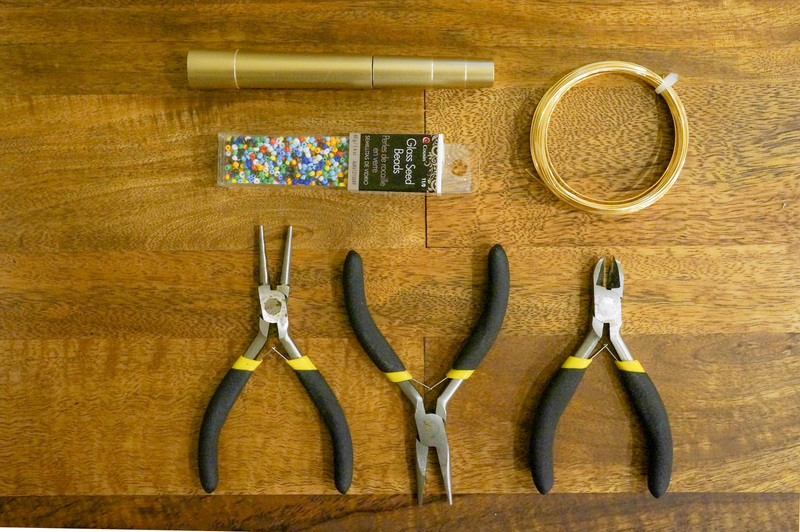 Start DIY-ing and getting those presents ready to give out to friends and family. 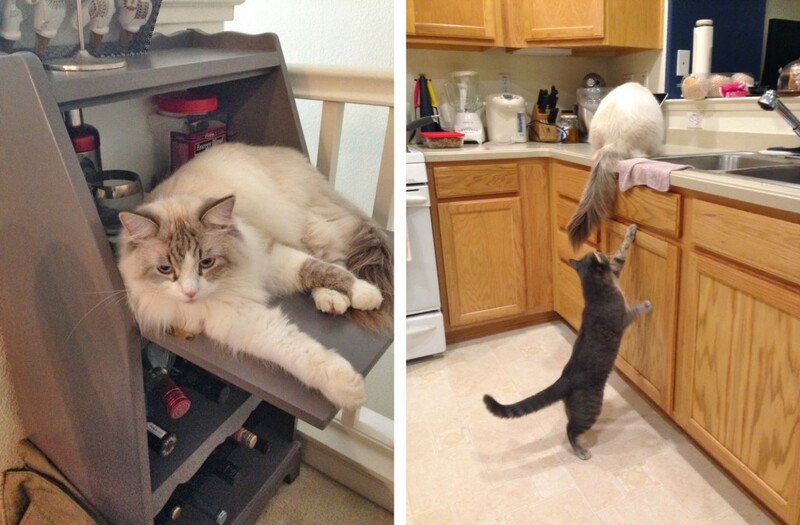 These would be great gifts with a nice personal touch. Don’t forget to comment on this blog post for a chance to WIN a necklace. Only one entry per email. Email must be valid. Shipping address must be in the United States. 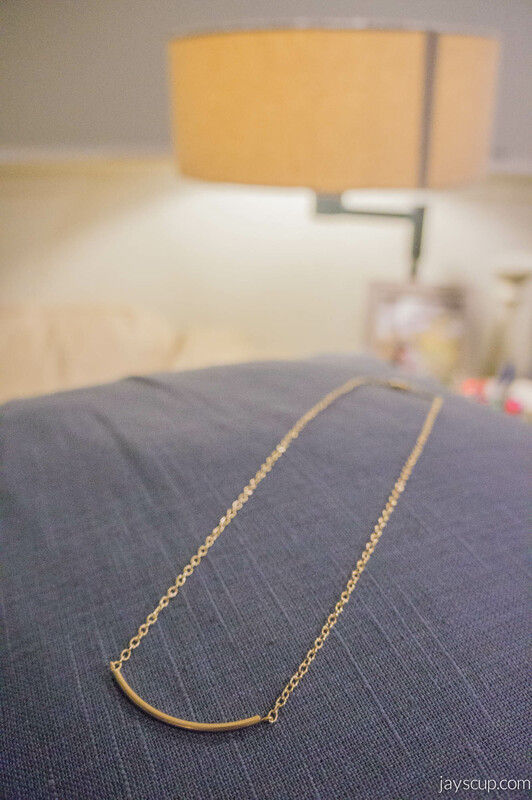 This necklace giveaway ends at 11:30pm PST on 11/19/13. Winner will drawn and announced on Wednesday, 11/20/13 at 12:00am PST via blog and email provided. DIY Dainty Beaded Necklace (Giveaway) Dainty Beaded Necklace (WINNER) DIY Midi Rings DIY Wine Bags & Giveaway! Contest has ended. See winners here. 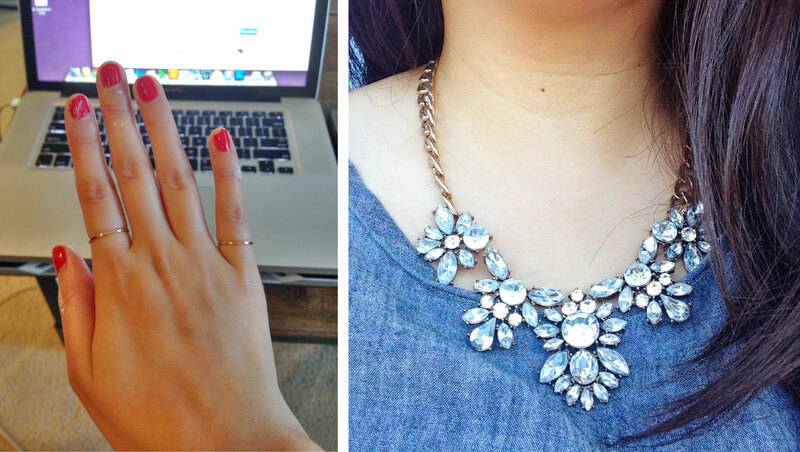 I am in love with dainty necklaces right now! Don’t get me wrong, I do love a chunky statement necklace, but delicate jewelry can match so many different outfits, on casual days or with a fancy attire. It’s so girly and so fun! 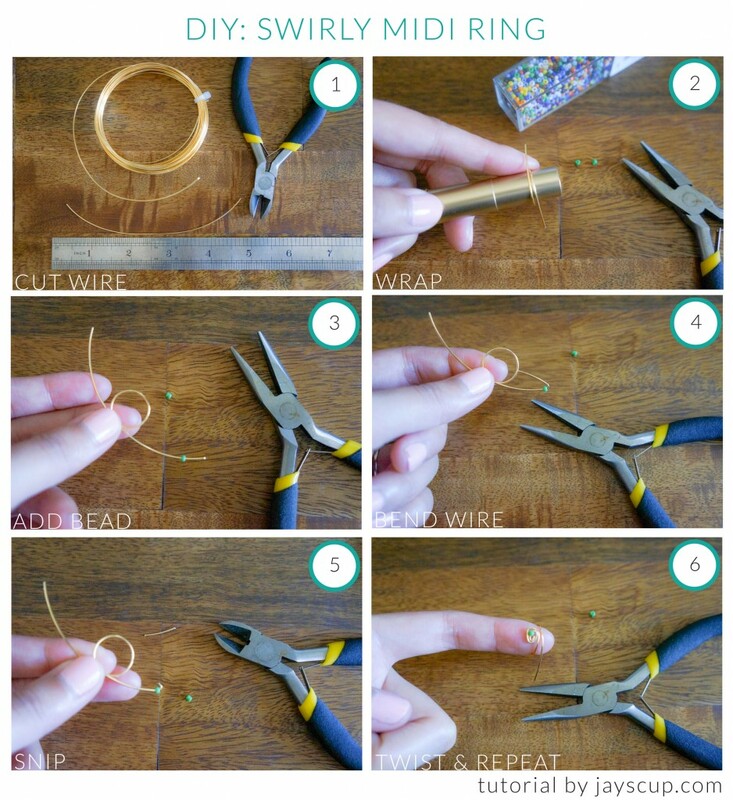 Here’s a tutorial on how to DIY a dainty beaded necklace. You can also WIN one of these necklaces by commenting on the post below! Simply tell me what you would wear this necklace with. Boys, win a necklace for your lady friend by telling me what you would like to see her wear this with (betcha you’ll win some serious brownie points!). What do you think about dainty jewelry pieces? Is this something you can recreate? Don’t forget to comment on this blog post for a chance to WIN a necklace. 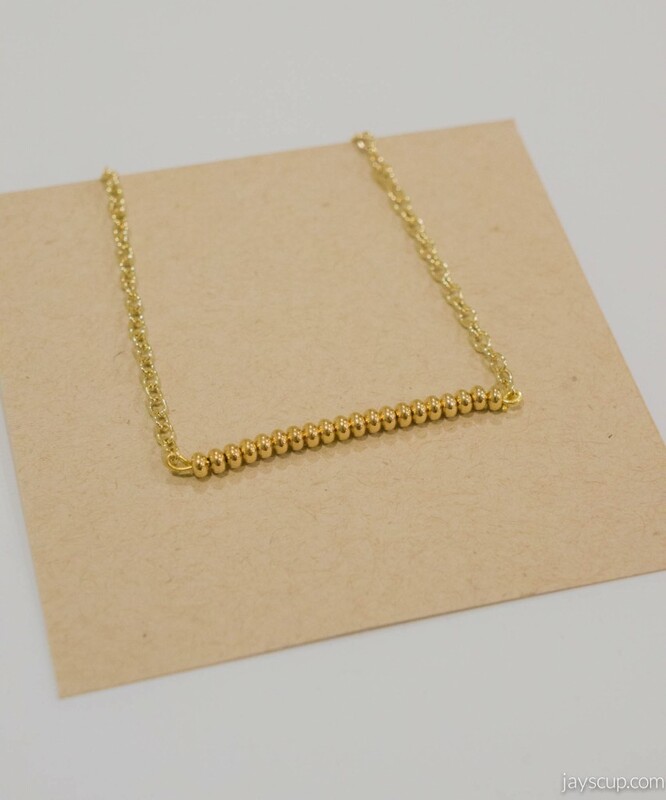 What outfit would you wear this dainty necklace with? Only one entry per email. Email must be valid. Shipping address must be in the United States. This necklace giveaway ends at 11:30pm PST on 11/12/13. Winner will drawn and announced on Wednesday, 11/13/13 at 12:00am PST via blog and email provided. 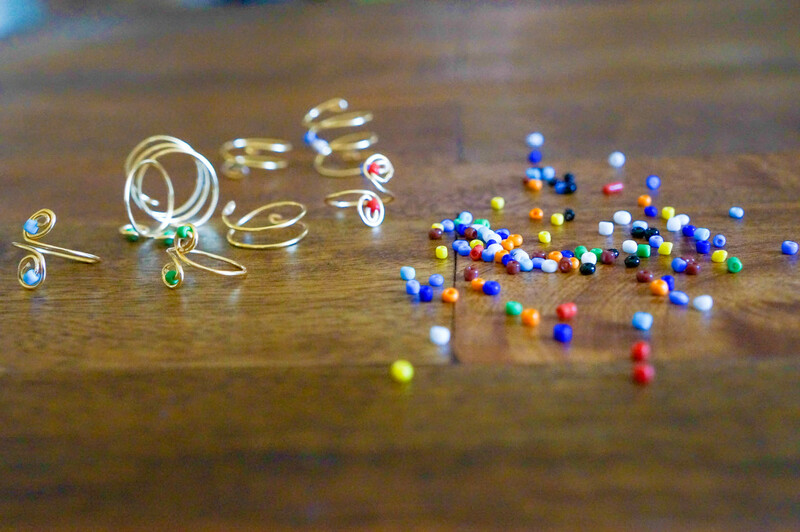 DIY Dainty Tube Necklace (Giveaway) DIY Midi Rings Dainty Beaded Necklace (WINNER) DIY Wine Bags & Giveaway! 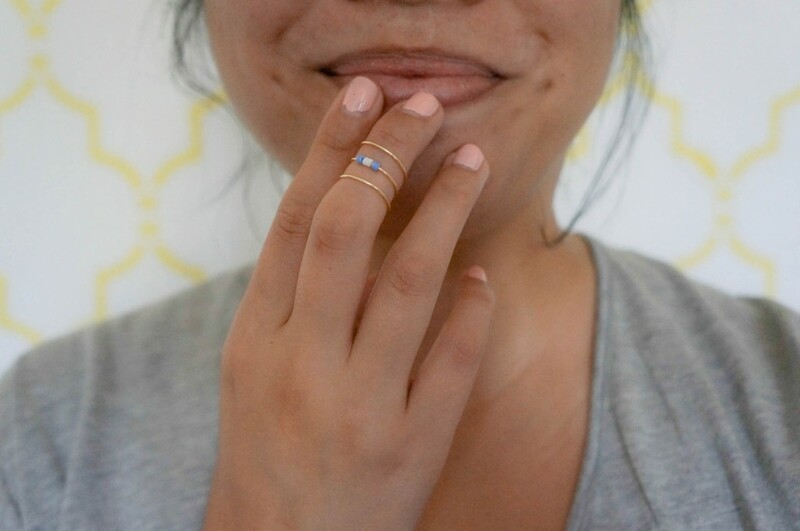 I’m obsessed with midi rings (also known as knuckle rings)! 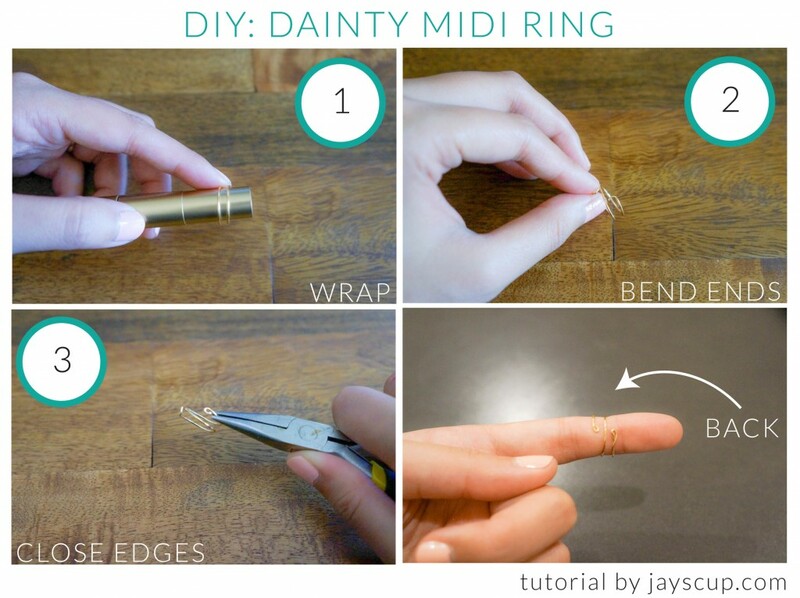 I’ve been constantly trying to find dainty midi rings online. Either the design isn’t what I wanted, the fit was too large (like the ones at Nordstrom’s and Forever 21), or shipping is too expensive (Etsy). What all this means is that it’s time for a DIY! 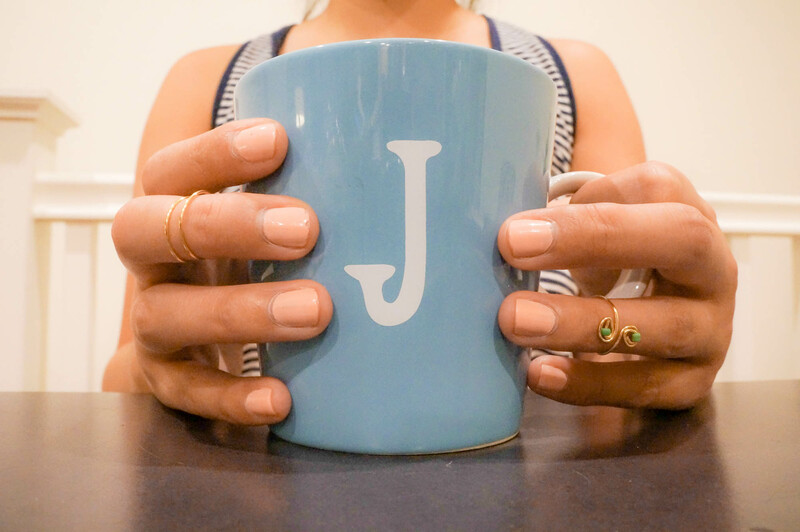 The simplicity of these rings are so perfect for any outfit! So easy right? 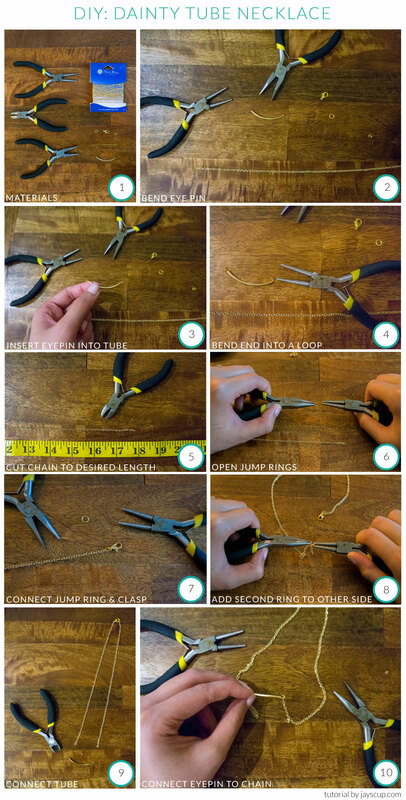 This dainty ring takes less than 5 minutes to make, and it looks fabulous! The beads are optional. Without the bead, it will just be a swirly design. Still super cute! Have fun with the designs. I added some beads and made a triple loop for this one. It’s such an easy project. Go crazy! 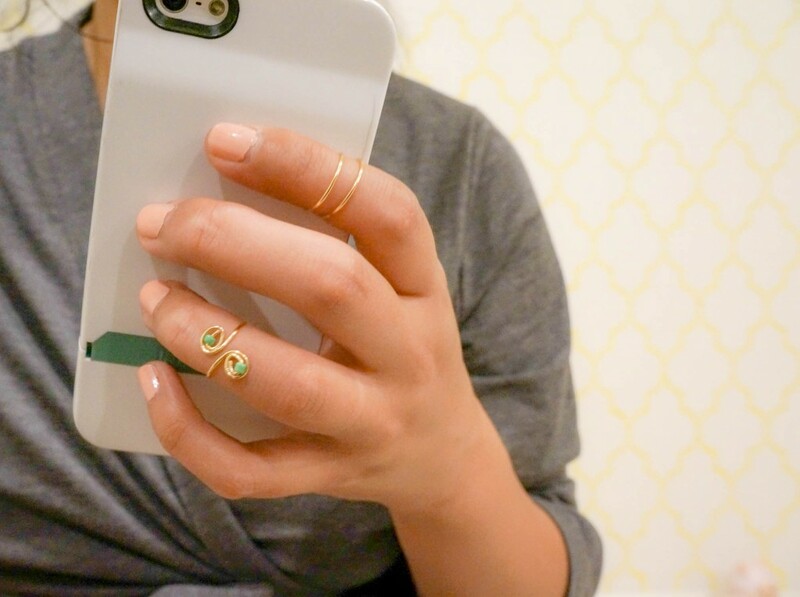 What do you think of midi rings? Would you wear them?